Norman Wathen was one of the Founders of the Louisville chapter of Trout Unlimited and passed away on 3/14/2008. He was well known locally for his streamer tying. 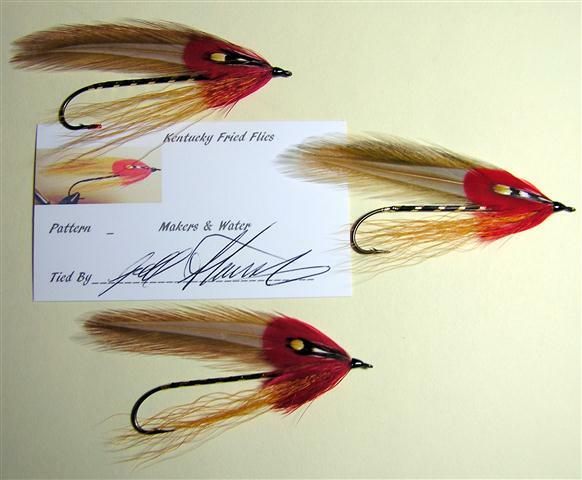 Maker’s and Water Streamer Variation, originated and tied by Joel Stansbury. This entry was posted in Streamers and Bucktails and tagged Maker's and Water Streamer Variation. Thank you for your comment! I am sure Joel will be very appreciative of your kind words and remembrance of his friend. In case he’s not monitoring this comment thread I’ll send Joel a direct e-mail. Thanks so much for sharing your insights on Norman.